From the Ruffin, Roulhac, and Hamilton Family Papers, Southern Historical Collection, Wilson Library, University of North Carolina at Chapel Hill. Beginning with only one student in 1795, the university became one of the largest colleges in the nation during the antebellum period. Before the Civil War, its enrollment peaked at 460 students in 1859, making it second only to Yale. During the 1850s, thirty to forty percent of students each year were from outside North Carolina. Most out-of-state students came from Mississippi, Tennessee, Alabama, and Louisiana. 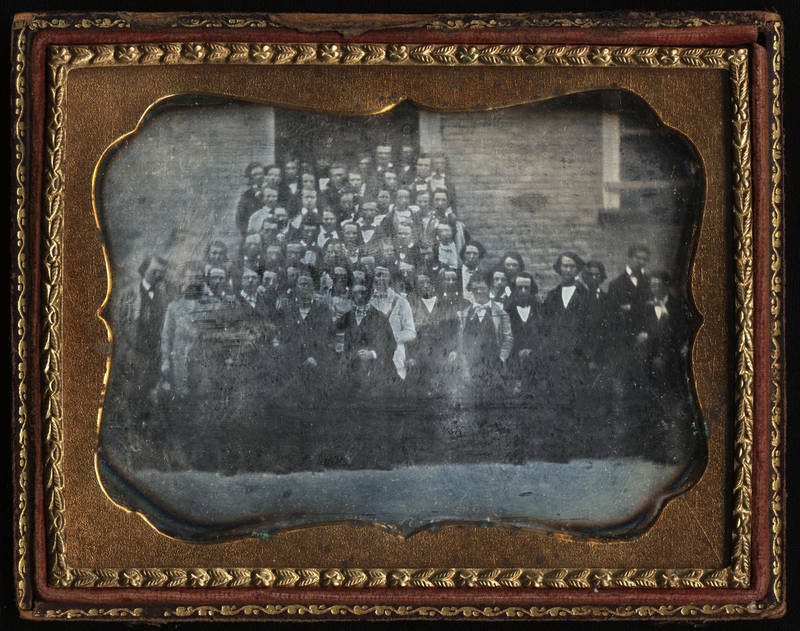 Learn more about antebellum student life in True and Candid Compositions: The Lives and Writings of Antebellum Students at the University of North Carolina, a digital publication by Erika Lindemann.